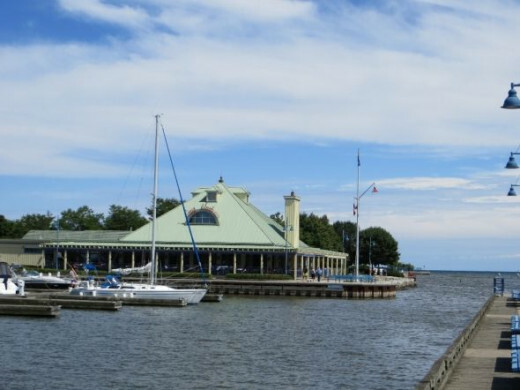 Port Credit, also known as "Village on the Lake", is a small town in the city of Mississauga, Ontario, Canada. 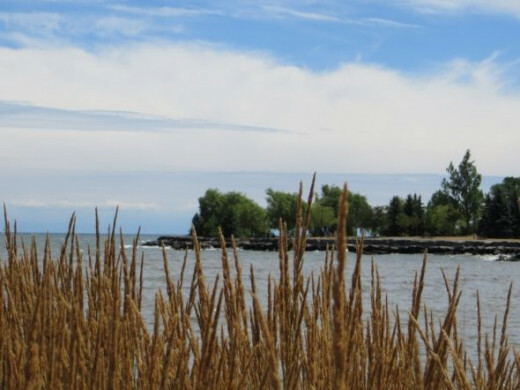 Located along Lakeshore on Lake Ontario, Port Credit was once a fishing port and trading post. The lighthouse that you see in the pictures displayed on this web page is a replica of the lighthouse that was in use between 1882 and 1918. 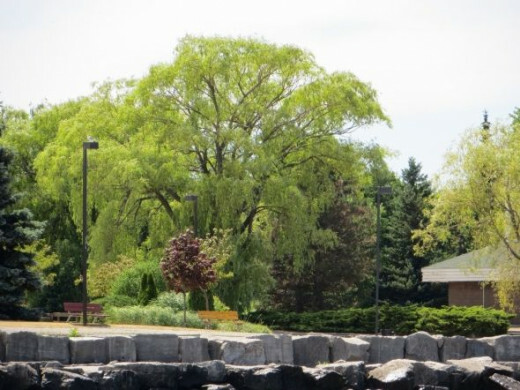 There are several parks in Port Credit which are maintained by Mississauga Parks like the Memorial Park, JJ Plaus Park, JC Saddington Park, and others. During the summer, there are many events that take place at Port Credit. Some of these events include Movie Nights in the Park, Sunset Concert Series, Buskerfest, In-Water Boat Show, and Tim Horton's Blues & Jazz Festival. 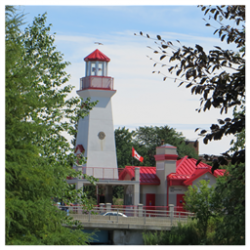 I have visited Port Credit several times and during summer 2012, I took some pictures at the Memorial Park and the Harbour Marina. I used my Canon PowerShot SX240 camera to take the pictures featured on this web page. 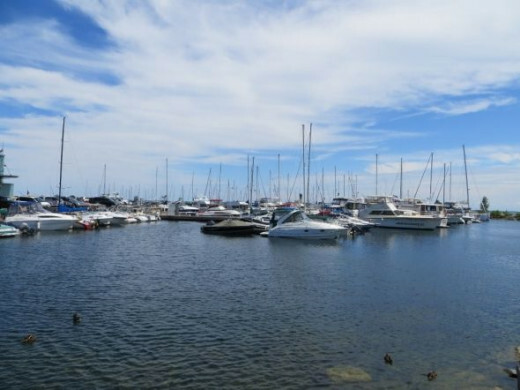 The Port Credit Harbour Marina located on Lake Ontario and at the mouth of Credit River is a popular place during the summer, especially for boating and sailing enthusiasts. Towards the end of August, Ontario's largest In-Water Boat Show is held at the Harbour Marina. Before it was redeveloped into a marina, the Harbour was used by French and British traders. 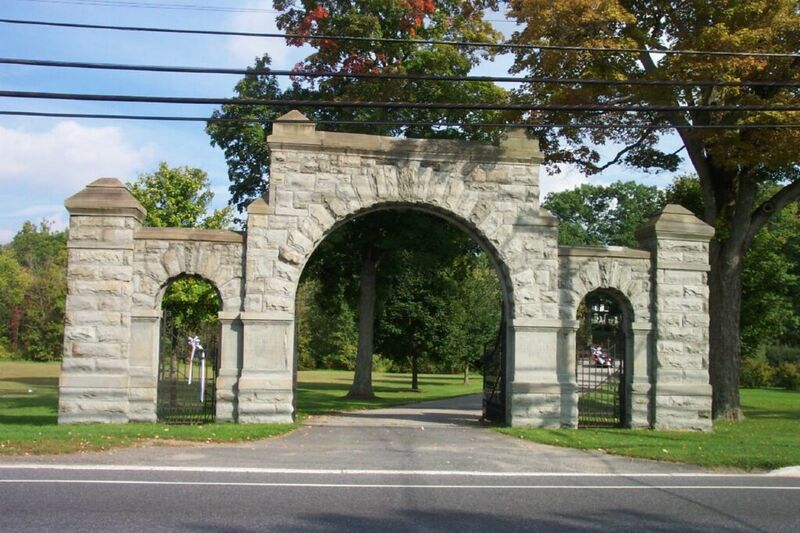 In the mid-1800s and early 1900s, it was used for stone-hooking which was one of the main building materials for construction. 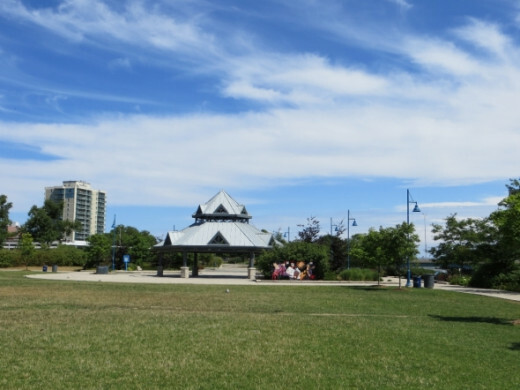 The Port Credit Memorial Park is one of the many parks, maintained by Mississauga Parks, in Port Credit. 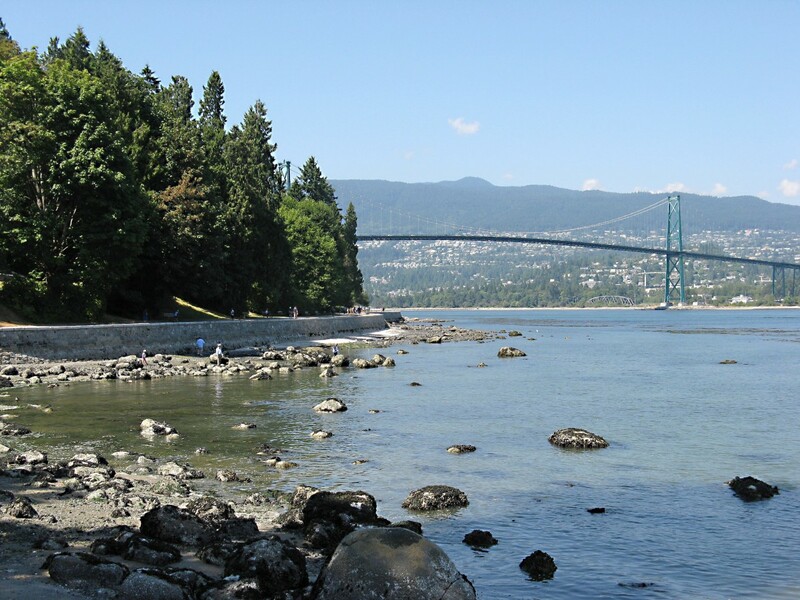 It's a great place to spend time outdoors whether it's enjoying leisurely walks, taking your dog out, or just sitting on the pier enjoying nature's beauty. The Memorial Park has a children's park, as you can see in the picture below, where children can have fun playing outdoors. Also, there is a skateboard section in the park which is great for skateboard enthusiasts. Given that the Memorial Park is located along the Credit River, it's great for water sports too. 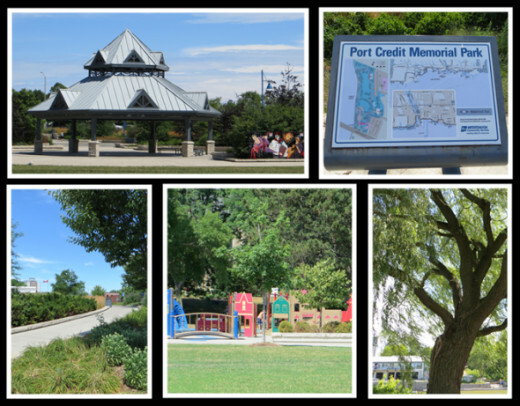 The children's park at the Port Credit Memorial Park is a great place to get your kids to have outdoor fun. 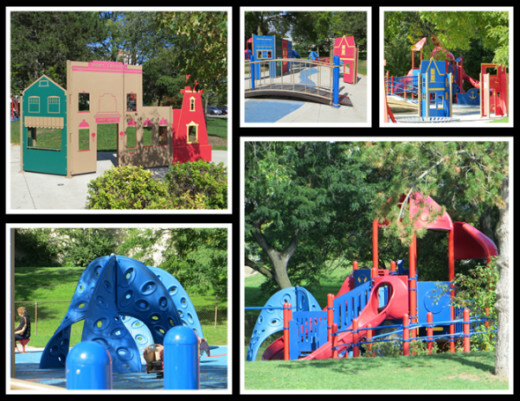 There is a cool playground with a variety of activities like slides, ramps, swings, climbing structures, sandbox, creative play walls, spring horses (actually fish), etc. There is a section for skateboarding too for older kids. There is also a public library and the Port Credit Arena in the area. Lots of fun outdoor activities. 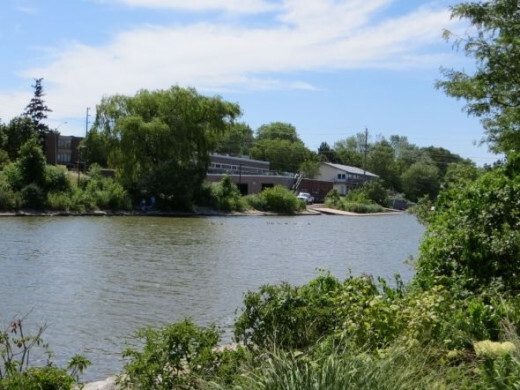 As indicated earlier, Port Credit was used as a harbour in the 1700s, 1800s and 1900s. 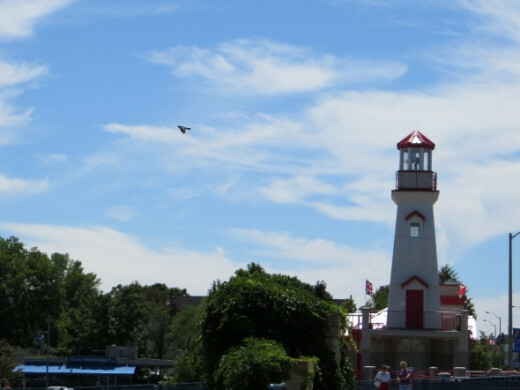 As is associated with harbours around the world, lighthouses are a familiar sight and Port Credit was no different in this respect. The first lighthouse in is believed to have been built, by Frederick Chase Capreol, in 1863. The lighthouse remained in use until 1918, but was destroyed by fire in 1936. 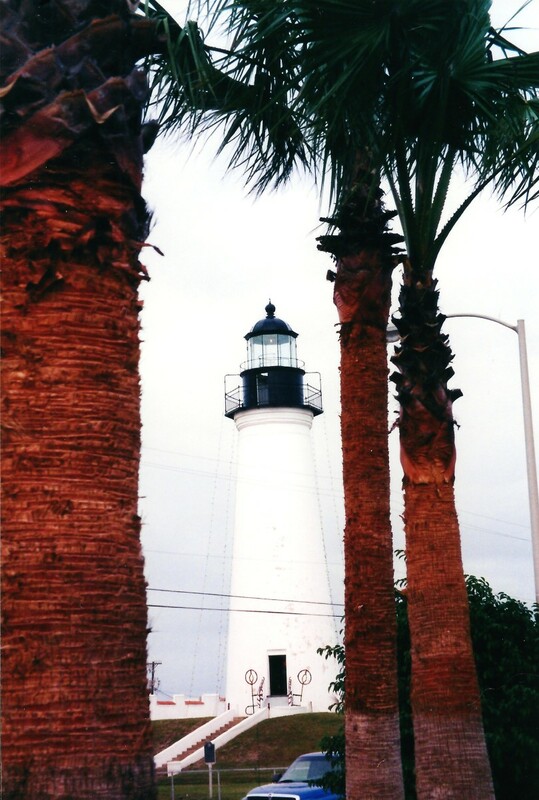 The lighthouse that you see in the picture above is a replica maintained for its heritage. If you love waterfront dining, grilled and seafood, then you'll enjoy the Snug Harbour Seafood Bar & Grill located on the Port Credit's waterfront. This bar and grill restaurant has a patio where you can enjoy the scenic beauty and great food. Snug Harbour also features live Blues & Jazz music on Saturday nights. The restaurant is located at 14 Stavebank Road South at Port Credit. 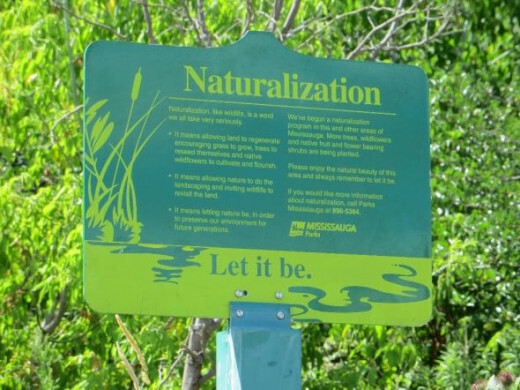 The Parks and Forestry unit of the City of Mississauga has been devoted to Naturalization which is the process to preserve the natural beauty of green spaces and parks in the city. 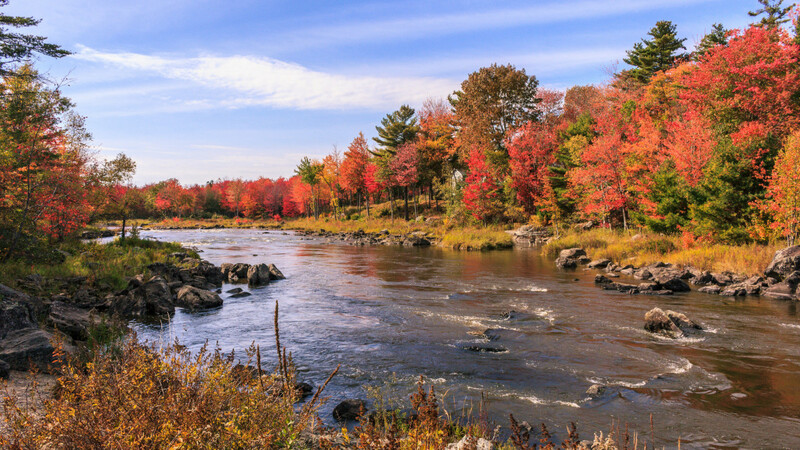 Naturalization helps the land regenerate on its own in order to preserve the environment. This helps protect species of plants and animals, improve air and water quality, and enhance the natural beauty of the city. The city's naturalization initiative is volunteer based and incorporated various programs like tree planting, community gardens, park murals, tree sculptors, parks watch, and others. Park(ing) Day is a worldwide event, which takes place every year, during the summer. This annual event is focused towards raising awareness of the important of more open spaces in urban areas. During the Park(ing) Day event, artists temporarily transform public parking spots into little works of art with meaning. 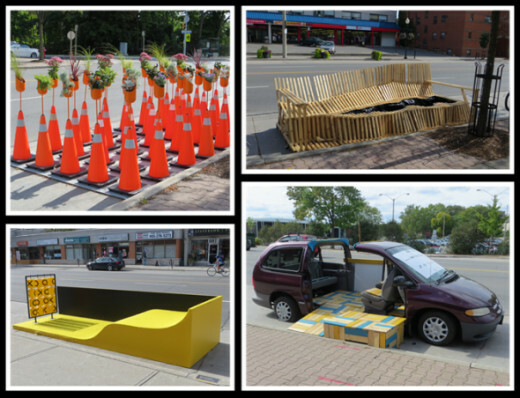 Park(ing) Day in Port Credit was held between September 20th and 30th. Showcased above are some of the exhibits which were on display during the Park(ing) Day event in 2012 on Lakeshore Road. The exhibit titled "Pop-up Garden Oasis" by artist Susan Campbell focuses on urban safety and planning. It is an urban green space created using safety pylons. The exhibit titled "Lakeshore Lounger" by artist Karl Van Es captures the Port Credit community's relationship with the lake. The Lakeshore Lounger is made from cedar and has an empty space cut out to represent the water. The exhibit titled "Urban Playground Pod" by artist Nathalie Quagliotto also focuses on public safety. This art exhibit is made from polypropylene which is used in children's playgrounds and includes a redesigned tic-tac-toe game. The exhibit titled "Gear_Shift" by artists Virginia Fernandez and Samantha Oswald is a scarp vehicle converted into a lounge, redefining the vehicle and parking space. Port Credit waterfront along Lake Ontario taken from the pier. Port Credit Bike Planter (part of the city's Naturalization program). Port Credit Memorial Park Gazebo. Port Credit River (picture taken from Memorial Park). 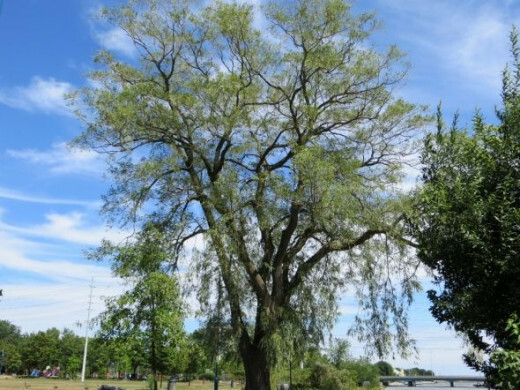 Port Credit Memorial Park Tree. JJ Saddington Park, one of the many parks in Port Credit). 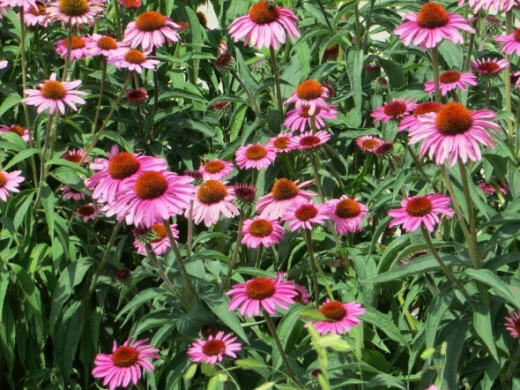 Picture of flowers at the Port Credit JJ Plaus Park. Canada Gooze at Port Credit's Memorial Park. You can check the Port Credit Events Calendar to find the latest events and festivals happening in Port Credit. 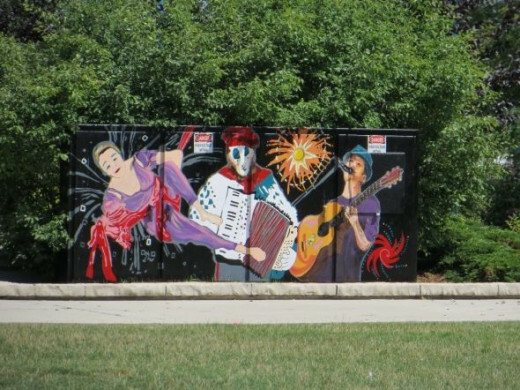 Some events include Paint the Town Red, Canada Day celebrations, Port Credit Busker Fest, Blues & Jazz festivals, boat shows, Port Credit Farmer's Market, and so much more. All photos on this web page belong to AJ Godinho unless otherwise mentioned. 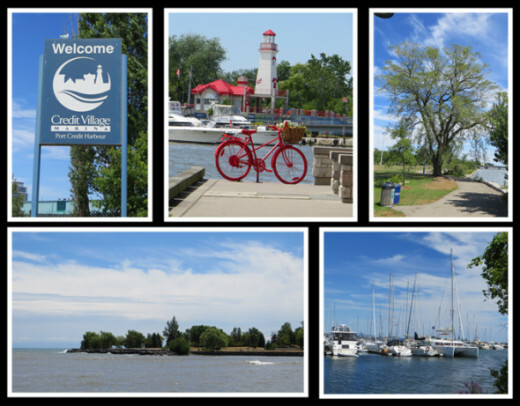 Have you been to Port Credit in Mississauga? I really have to get to Canada one day. @MHiggins thanks for stopping by! It's very interesting to know that you used to service lighthouses in the Great Lakes. 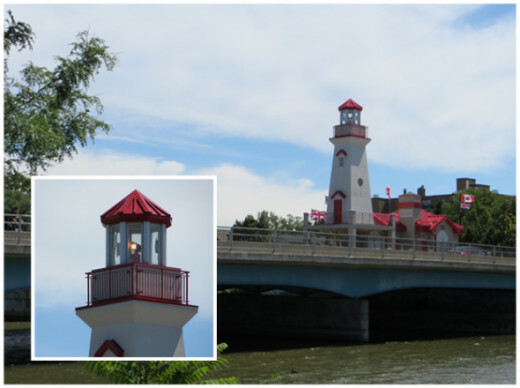 I'm glad that they decided to maintain a replica of the lighthouse in Port Credit because that place has a lot of history. I enjoy going there in the summer. Interesting hub! I especially enjoyed the lighthouse info. I used to service several of them in the Great Lakes. I have been in this area but it was years ago. It is a great place! Thanks for sharing. Port Credit was a place we would go for weekends when we were in Toronto. I feel am back in Canada looking at your pictures. Your photos are beautiful! Hopefully I can make the trip up there one day! Never to Port Credit - but I was in Mississauga on Wednesday this past week! Thanks for sharing such a nice information about a place to be visited in Mississauga. For travelling lovers it is not less than a treat. @Lady Lorelei: Yeah, it sure is ~ thanks for stopping by! All the best with the purchase of your camera...I enjoy using my Canon! @Diva2Mom: Thanks much @Diva2Mom! It's a wonderful place, especially during the summer and a good place for picnics. Your special friend is waiting...LOL :) God bless you too and hugs back! Fascinating lens indeed! 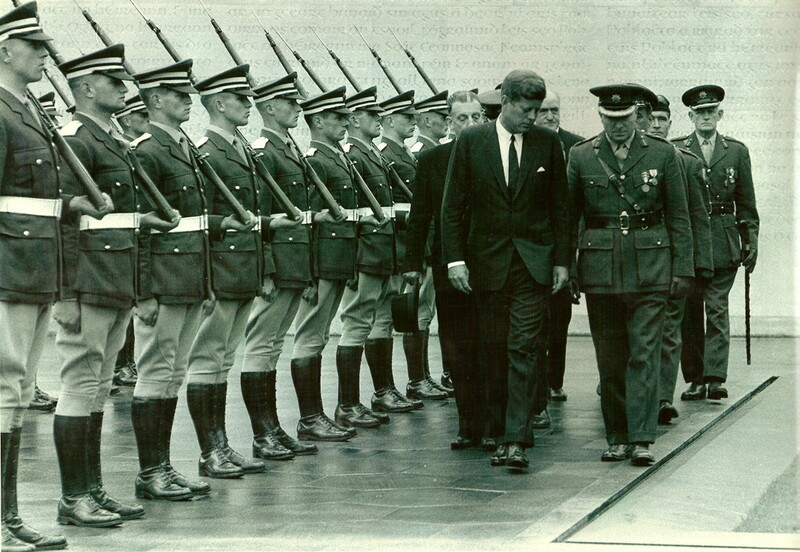 Great images and fabulous tour. 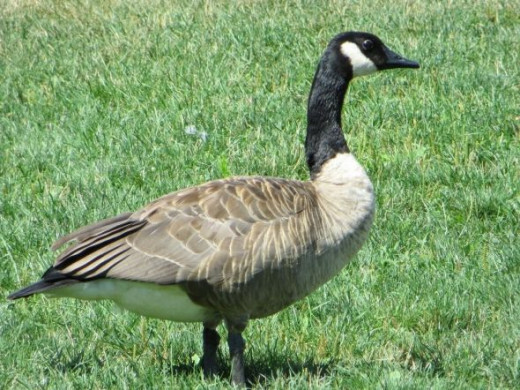 I can't wait to visit Port Credit and visit a special friend who happens to live near the area. It's perfect for picnics and sightseeing. The Port Credit Waterfront can be also quite romantic :). I can see myself bringing a bottle of Red wine, and different variety of high-quality cheese to munch in while enjoying nature and the breeze. Sir, you absolutely did a great job on this amazing lens. Blessed by a Little Squid Angel :). God bless you dear and huge hug! Beautiful town and outstanding photos. Ontario has it all, doesn't it? I don't recall ever being in Port Credit but I could have been in my younger days. Dad loved to travel and we travelled across Canada quite a few times. Angel blessing for this really grand lens! I've never been to Port Mississauga, but your beautiful photos and information certainly entice me to plan a visit. what a great lens you have here. I love Mississauga, Ontario ! What a beautiful area. Very well done article! Thanks for sharing. ive never heard of this place. looks lovely! Excellent lens, thanks for sharing! I always enjoy a trip to Port Credit. We used to do this when we lived in Toronto. Congrats on the Purple. What a treat to have you as a tour guide for my first visit to Port Credit Mississauga ...I was worried about typing that wrong and messed up on port of all things. The Village by the Lake is much easier to say but I would guess that Mississauga is not a challenge for locals at all. With all this beauty and the activities to take in, I can certainly see why you were drawn back again and again, especially since it is near your back door...congratulations on your purple star on this delightful presentation! I've not been to Port Credit, but I grew up on the OTHER side of Lake Ontario in the Rochester, New York area! So - nice to see the Canadian side of this Great Lake! :) Terrific photos! Congrats on your Purple Star! No I didn't even thought it is so close for Niagara Falls which I frequently visit. So I put Port Credit on my list to visit. 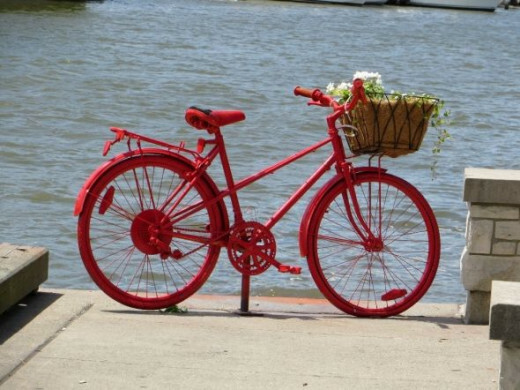 It is a great lens with beautiful pictures and touristic facts, I love the red bicycle... Blessings! 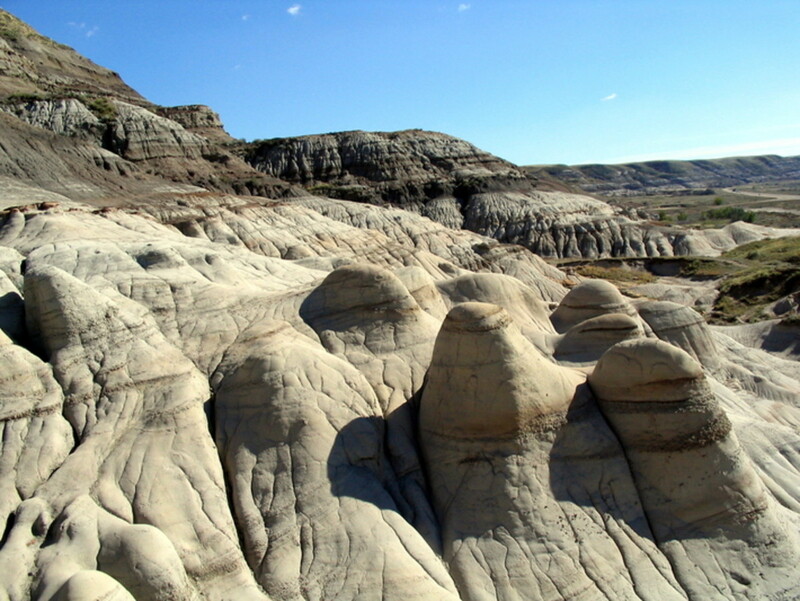 Looks like a nice place to visit and live. Very nice lens. Jazz, seafood and a cool park. What a great combination! Yes, I lived in Port Credit city limits in the late 1940s and nearby for many years after that. My sister moved back to Port Credit a couple of years ago. It was a village back when I was a kid and, according to my sis, still retains a village-type atmosphere today. Nice to find it here on Squidoo! This is a wonderful lens, looks like a great place to visit. The photos reminded me a bit of South Haven, Michigan, which is also lovely. I was never there but I would love to visit there sometime.